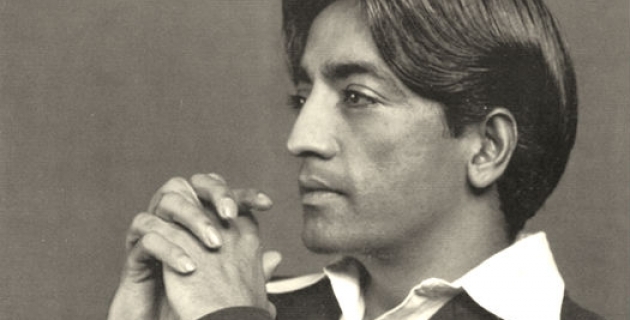 Jiddu Krishnamurti (May 12, 1895 – February 17, 1986) was an Indian speaker and writer on philosophical and spiritual subjects, and was widely considered as a World Teacher. His subject matter included: psychological revolution, the nature of mind, meditation, inquiry, human relationships, and bringing about radical change in society. He constantly stressed the need for a revolution in the psyche of every human being and emphasized that such revolution cannot be brought about by any external entity, be it religious, political, or social. 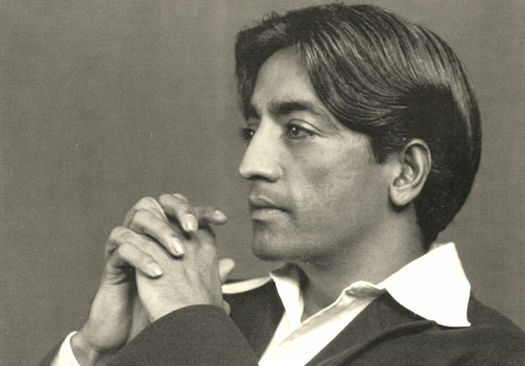 Krishnamurti was born into a Telugu Brahmin family in British India. In early adolescence, he had a chance encounter with prominent occultist and theosophist Charles Webster Leadbeater in the grounds of the Theosophical Society headquarters at Adyar in Madras. He was subsequently raised under the tutelage of Annie Besant and Leadbeater, leaders of the Society at the time, who believed him to be a “vehicle” for an expected World Teacher. As a young man, he disavowed this idea and dissolved the the Order of the Star, an organization that had been established to support it.